When Paris fell to the Sixth Coalition (a group of countries allied again Napoleon and France) on March 31st, 1814, Napoleon was forced into exile. One would think that Marie Anne Lenormand would be in a difficult situation, she being a friend to Josephine, Empress of France, and acquainted with Napoleon (including members of Napoleon’s inner circle). However, the fall of Paris only seemed to make Lenormand even more popular. Depiction of Marie Anne Lenormand in Prison – Note Bird in the Window in the Background. Reference to Augury? Divination for Justice? With the fall of Napoleon, Lenormand’s shop now was frequented by not just French citizens, but by citizens and aristocracy from any number of countries. Marie Anne Lenormand was friends with Czar Alexander I, who, it was rumored, had given Lenormand a diamond ring for her valued services. Russia was a key member of the Sixth Coalition, playing a major role in Napoleon’s defeat. By 1818 she was invited to the Congress of Aix-La-Chapelle, a meeting of four allied powers (Britain, Russia, Austria, Prussia) to decide the fate of a defeated France. She also corresponded with numerous noted men and women by letter (some of those letters surviving today). Unfortunately, the installation of Louis XVIII as king of France, didn’t agree with Lenormand (as it didn’t with many French citizens), and she moved to the city of Brussels in Belgium in 1820. As Lenormand re-established her fortune telling business, her notoriety attracted unwanted attention. Belgium had been a allied of Napoleon, and had been strongly Catholic. She was arrested for treason and later witchcraft. A weakened Catholic church in France couldn’t make such charges against Lenormand, but it could in Belgium. And, her association with Czar Alexander I and those who’d defeated France must have made her an attractive target. The Church’s charges against her were that her spoke with a spirit, had a magical glass-eye, a powerful talisman and in general practiced magic. She was sentenced to one year in prison. This all must have seemed a minor annoyance to Lenormand. Before the sentence could be carried out, the charges against her were quashed by the High Court of Brussels. The story is, when Lenormand was freed, she was carried through the streets by a joyful crowd, much to the consternation of her detractors. She remained in Brussels and continued her craft as well as continuing work on her memoirs. The Duke of Orleans rose to become King Philippe in 1830, as Marie Anne Lenormand had predicted. She returned to her beloved France as a wealthy woman. Her memoirs were selling well and at the age 48 Lenormand decided to slow down and begin her retirement. She brought property in Alencon, the place where it all began, and built a modest home. She called it the "Cottage of Socrates". Obviously, Lenormand had found her answer to the question, "Was Socrates Clairvoyant?". She would do an occasional reading in Paris, but refused to do readings in her home. She had amassed a huge collection of letters from the elite of Europe, as well as books and memorabilia – her worth was estimated at 500,000 franks, adjusted for inflation, she was basically a millionaire. Lenormand passed on in 1843, leaving her last prediction inaccurate: She’d predicted she would live well past 100. One has to wonder if this isn’t somehow Marie Anne Lenormand’s sense of humor at work. 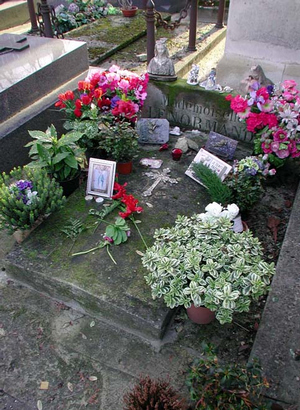 She was buried at Pere la Chaise in Paris. It is impossible to assess Marie Anne Lenormand’s influence in the historical events of the French Revolution and beyond since few in a position of power will admit to seeking insights from a palm reading, clairvoyant, tarot reading psychic who practiced astrology. This is as true now as it was then. We do have a wealth of letters, comments in the personal journals, and Lenormand’s own memoirs which seem to portray a woman who was a fearless scholar of divination; a woman who had relationships with some of the most powerful individuals of the era; and a woman who was determined to be successful under her own terms. Marie Anne Lenormand is woven into the historical fabric of France and the French Revolution regardless of one’s appreciation for divination or not (though many would love to remove all reference to her). In many parts of Europe she is considered on par with the venerable Nostradamus (some even imply she was of the same bloodline). Lenormand never openly acted as a spiritual advisor, nor preach a particular doctrine that others needed to follow. Rather, she seemed to stay true to her vocation: Fortune Teller. She doubtlessly knew there was a spiritual underpinning to divination but it appears she preferred to share those personal feelings with only a few friends. Where the term ‘fortune teller’ may seem derogatory to some, to Lenormand it was an important profession. Like Edgar Cayce, Marie Anne Lenormand seems to have been the type of psychic only witnessed once in a century. Looking for a psychic you can work with? 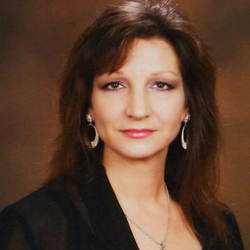 Give Psychic & Tarot Reader Karen a call at 1-800-326-5923. Should you want to learn tarot yourself, check out Easy Tarot Software … perform readings, learn tarot at the same time.